Purchase process of the self-propelled Trolley TBC 100t by Baker Hughes of General Electric. 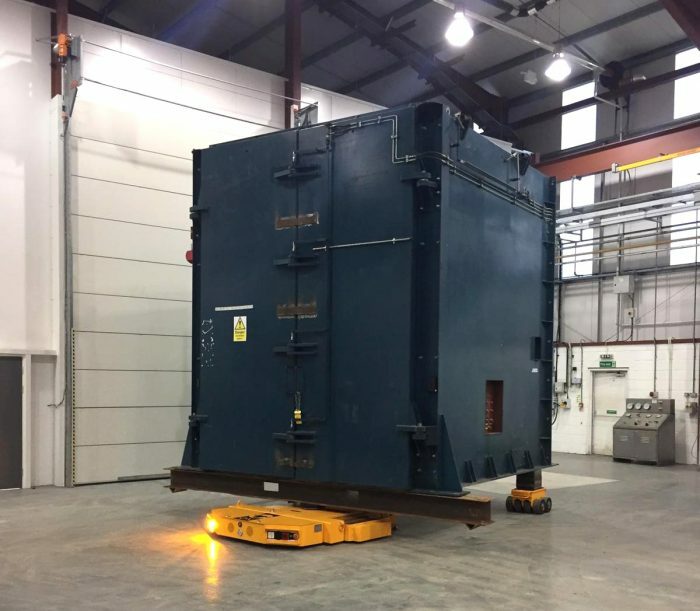 BHGE Scotland, needed a solution to move auxiliary equipment in the Oil&Gas sector (subsea) – very fragile equipment and with a very high cost – in a protected and clean environment and whose objective was to increase the efficiency and safety of the operation. So it was suggested a simple, robust and easy to use equipment with a basic maintenance, which provides a great security for a routine movement of equipment weighing less than 100t, but with different dimensions. Specifically, a self-propelled trolley model TBC 100t due to the fact that it would be advantageous to have two energy options (Electric and Batteries) increasing the autonomy time and consequently efficiency. 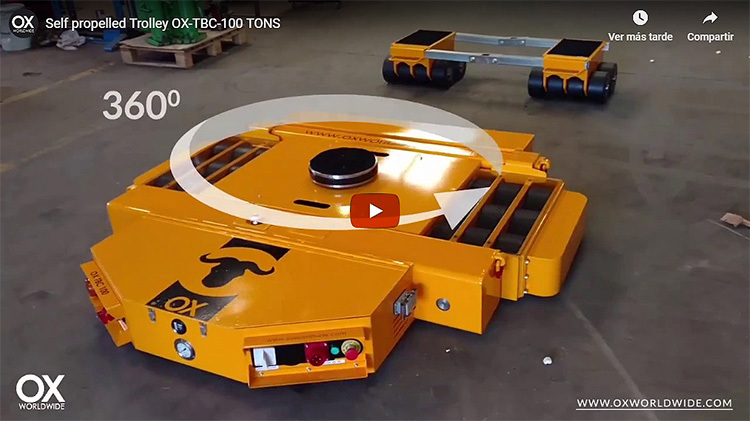 This model allows operations with different loads and dimensions, provided that the weight of the equipment is perfectly defined in less than 100t. Steps for the acquisition of the tank by BHGE (Baker Hughes by General Electric). April 2018 – The customer discovers the existence of our products on our website and downloads the generic information of self-propelled tanks. 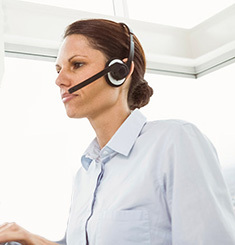 September 2018 – Finally they realize that the team will use it on a regular basis so they opt for the purchase option, the payment terms are negotiated and the order is formalized. November 2018 – Shipping of the Tanqueta for Scotland (UK). 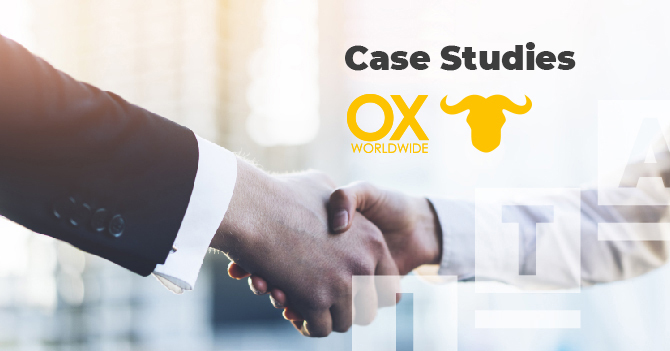 We have received very positive feedback from the customer, who is interested in other Ox Worldwide equipment options for the movement of other types of loads. We are glad that one of the 5 largest companies in the Oil & Gas sector is satisfied and obtaining an optimal result that meets the expectations placed on our company. The Ox Worldwide self-propelled trolleys are manufactured and designed by Cargo Group Flet Blasant S.L. 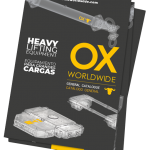 and distributed by its brand Ox Worldwide aims to meet the needs of any market sector, Cranes, Oil & Gas, Offshore, WindEnergy, Naval, Nuclear Energy, Aeronautics, Automotive, Rail, Project cargo and even small businesses that need move any type of load.